The Super Late Models have had their Don Biederman Memorial, while the modifieds are getting a neat double-header at Sauble Speedway. 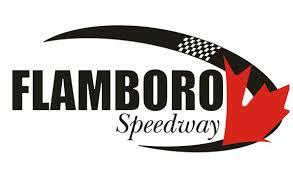 The Pro Late Models have some key events across the event, highlighted by Jukasa Motor Speedway and Delaware Speedway, with Flamboro Speedway entering the ring with a top-notch race for the Super Stocks, Mini Stocks, and Pure Stocks. With all the positive energy, it’s nice to see some of that also be translated over to the Trailers Plus Eastern Ontario Legends Series, and Kawartha Speedway. The series officials announced on Wednesday that the first-ever INEX Canadian Asphalt Nationals will happen in July, combining two of the Ontario’s tracks together for a great two-day show. The event will kick off on Friday, July 13th at Kawartha Speedway, followed by the second day taking place at Peterbrough Speedway the next day. It’s the perfect combination as both tracks are located within 15 minutes of each other, and it will offer the perfect challenge with a pair of totally different tracks. While Kawartha is known for being wide and fast at 3/8th-mile in length, compared to Peterborough being tighter with a size of 1/3 of a mile. Both tracks are also helping promote the event, too, with free camping available at both venues. Details haven’t been fully announced yet, but one thing is for sure – money will be topic of discussion, with over $25,000 guaranteed to be given out over the course of the weekend. The past couple of years, we have seen the Legends car count increase, with them having 20 to 30 cars at every show they attend across the province. The growth is being rewarded by all parties, which is nice to see as it will further help fans north of the border understand how the whole INEX deal works together. Furthermore, anybody remember when Kawartha Speedway was on the blink of closing? There were thoughts while standing at an event that it’d be the last ever at the track. However, seeing an event of this magnitude proves the hard work by the promoters over the past year has paid off in a big way. With an event like this, combined with OSCAAR’s Hot Rod Series and Modifieds, fans are guaranteed to be entertained that Friday night. But let’s be real for a minute. If you combine this news, with Flamboro Speedway’s new event, Jukasa’s Canadian Nationals, and the Great Lakes Concrete Series – it’s a good time to be a fan of racing in Ontario, and I cannot wait for April to get here.